We are currently accepting applications to join the Kenwood Swim & Tennis Club. Please print and complete the application. We will contact you when we receive your application. Joining the KSTC Crocodiles summer swim team! Our goal for the summer is to create a fun, competitive environment for our kids! The swim team is a great way for kids to be active, develop skills and make friends. 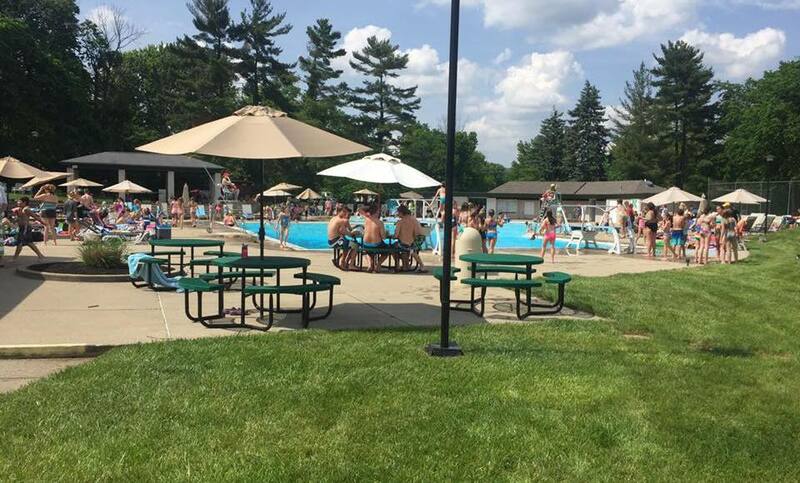 Summer is a wonderful time at Kenwood Swim & Tennis Club. S'mores, live music, craft beer, movie nights, water aerobics, food trucks, holiday parties & fames, and so much more with all your friends and family! Private lessons, introduction to tennis, adult round robins, junior tennis program and much more! Welcome to the Kenwood Swim & Tennis Club, Inc website. If a new member signs up with your name as the referral, you will earn a $50 referral credit per membership! Online: Please visit TowneProperties.com and click “make a payment”. You will need to register for the site with your resident #. Please contact Brookwhitton@towneproperties.com to receive it. Check: Please mail your check to Towne Properties, 11340 Montgomery Road, Suite 202, Cincinnati, OH 45249. Please make it payable to Kenwood Swim & Tennis Club. Please consider a donation towards our capital improvement fund as you renew your membership. The donations need to be processed as a separate payment via check and made payable to Kenwood Swim & Tennis Club with “donation” in the memo. Please mail the check to Towne Properties with the address listed under Payment Options. Thank you in advance for your consideration. To ensure you receive all of the latest updates and email correspondence from us, Please subscribe on our email list as soon as possible and like our Facebook page. These are our primary communication methods throughout the year to all members. Please contact us with any questions or concerns at (513) 791-0949 or kenwoodswimandtennisclub@gmail.com. Thank you!